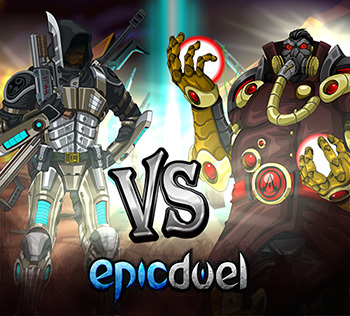 Hey there EpicDuelists! Quickie design notes (posted from my cell phone! So Nightwraith is going to have to adjust for any autocorrecting it does). The level cap is finally being raised to level 34! We delayed the raise due to popular demand, and now we are raising the cap due to equally popular demand! Another added bonus to raising the level cap is that your Delta gear will become slightly more powerful, because it is technically level 34 gear! Once you reach the cap, all the Delta weapons will gain an extra point of damage! 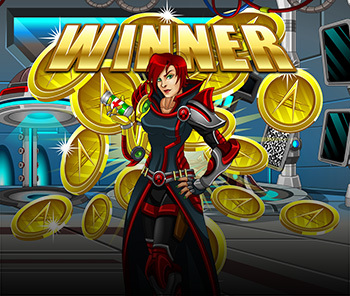 The quest from Snork will give players some incentive to battle, battle, battle! We did alter that quest due to technological limitations. Players can only complete the quest once, but the special weapon drop (with stats comparable to a premium weapon at the same level, so everyone can use it) will be guaranteed. If you follow me on Twitter, you know that I wrote, in addition to the already announced missions, a super secret mission! This quest will not be announced, you'll just have to find it. 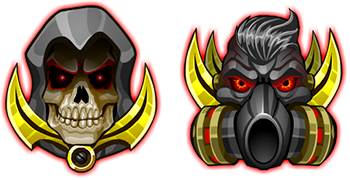 We are releasing two limited-time Harvest mutating weapons, the Spectral Reaper and the Harvest Reaper. These powerful weapons change class with you! 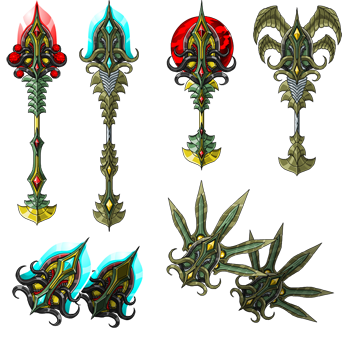 The Spectral Reaper features an energy club, energy blades, and a physical staff, while the Harvest Reaper can become physical blades, a physical club, or an energy staff. Rumor has it that they will also have an additional effect similar to the Curse effect on the Delta weapons. What could this be? Only Titan knows for sure! In the weeks to come, we also have more Snorkness planned, a special event in early November (our writer better get on that! oh wait...) and more!